How appropriate for kids to be entertained by reading biographies of intriguing African Americans during Black History Month. Stories of real people who’ve made a difference help promote positive racial identity and confidence. These 10 books from a Carnegie Library of Pittsburgh book list are geared to elementary school kids. But you can find additional African-American book collections for all ages, from toddlers to high school students. From a beautiful ballerina who broke racial barriers to stories about famed musicians, artists and those who fought for civil rights, these stories are as compelling as they are educational. Looking for more ways to celebrate Black History Month? 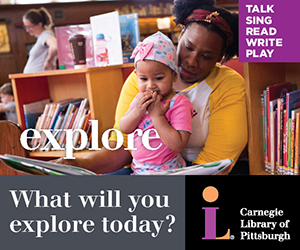 Click here to find a party and other events hosted by Carnegie Library of Pittsburgh. “Life in Motion: An Unlikely Ballerina,” by Misty Copeland. Discover the first African-American principal dancer in American Ballet Theatre history, Misty Copeland. “Before She Was Harriet,” by Lesa Cline-Ransome. This biography of Harriet Tubman was written in verse to honor a woman of humble origins whose courage and compassion make her larger than life. 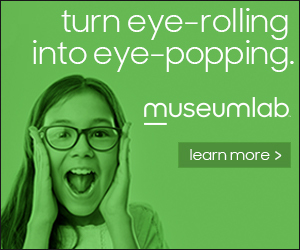 “How to Build a Museum,” by Tonya Bolden. The campaign to set up a museum honoring black citizens is nearly 100 years old. Building the museum itself and assembling its far-reaching collections is a modern story that involves all kinds of people, from educators and activists to politicians, architects, construction workers and ordinary Americans who donated cherished belongings to be included. “Lillian’s Right to Vote: A Celebration of the Voting Rights Act of 1965,” by Jonah Winter. As an elderly woman, Lillian recalls that her great-great-grandparents were sold as slaves in front of a courthouse where only rich white men were allowed to vote. She tells the story of the long fight that led to her right to cast her ballot. “Little Leaders: Bold Women in Black History,” by Vashti Harrison. Based on her popular Instagram posts, author and illustrator Vashti Harrison shares the stories of 40 bold African-American women who shaped history. “Pathfinders: The Journeys of 16 Extraordinary Black Souls,” by Tonya Bolden. This book profiles 16 high-achieving African Americans, including magician Richard Potter, concert singer Sissieretta Jones, and architect Paul R. Williams. “Radiant Child: The Story of Young Artist Jean-Michel Basquiat,” by Javaka Steptoe. Jean-Michel Basquiat and his collage-style paintings rocked to fame in the 1980s as a cultural phenomenon. But before that, he was a little boy who saw art everywhere: in poetry books and museums, in games and in the words that we speak, and in the pulsing energy of New York City. “Schomburg: The Man Who Built a Library,” by Carole Boston Weatherford. This story traces legal clerk Arturo Schomburg during the Harlem Renaissance and his efforts to curate a collection of African books, music, and art in order to correct history. “Take a Picture of Me, James Van Der Zee,” by Keith Mallett. This biography tells the story of James Van Der Zee, an innovative and celebrated African-American photographer of the Harlem Renaissance. “Trombone Shorty,” by Troy Andrews. Hailing from the Tremé neighborhood in New Orleans, Troy “Trombone Shorty” Andrews got his nickname by wielding a trombone twice as long as he was high. A musical prodigy, he was leading his own band by age 6. Today, this Grammy-nominated artist headlines the legendary New Orleans Jazz Fest.